Over the past number of months Rothesay’s very own Frankie Austin has been on the most remarkable journey which has taken her to next week’s Homeless World Cup in Oslo. This life changing opportunity has been the key to reviving her inspiring passion for the sport. 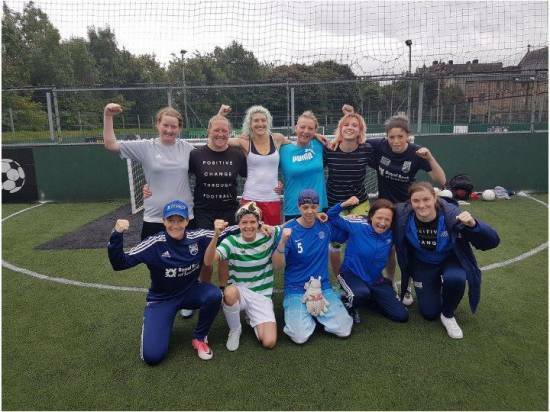 Every week she has committed herself to training hard at the Glasgow Powerhead Football Facility, alongside a fantastic group of girls - together making up the Women’s International Homeless World Cup Team. Frankie has shown unrivalled enthusiasm throughout her journey and has become such a welcomed character within the Street Soccer Scotland family. We couldn’t be happier for Frankie, and we wish her all the very best in Norway next week for the Homeless World Cup 2017. Good luck Frankie, and Good Luck Scotland! !